When Sheryl Sandberg’s book Lean In hit the shelves this spring, it started a national dialogue about women in the workplace. In her work, Sandberg, current chief operating officer at Facebook and previously the Vice President of Global Online Sales and Operations at Google and Chief of Staff at the United States Treasury Department, discusses the importance of “leaning in” – a way of not only being passionate about a career but aspiring for more: more leadership opportunities, more happiness, and more financial security. The book has been praised for bringing attention to the status of women in the workplace and the challenges that women, in particular, face as they navigate what she calls the jungle gym of success, where there is never one direct way to the top. Although Sandberg’s work focuses specifically on the traditional workplace and issues that speak directly to women, many of her management approaches are fundamentally about striving toward balance. If Sandberg’s book is next in the line of feminist texts to be considered, which I believe it is, it is natural to wonder if her ideas can extend to women in less traditional professions. Do all women need to “lean in” or is this notion unique to the upper-middle-class, college-educated demographic of which Sandberg writes? More specifically, do Sandberg’s ideas resonate with women in the art world and their highly competitive industry? And could Lean In instruct these women on how to better manage their own workload? Though the workplace dynamic and end product is inherently different in the art world and corporate America, basic issues of time management and prioritization are the same. On a deeper level, so are the tough choices of success versus authenticity, vision versus compromise, and self-fulfillment versus financial security. I spoke with Kerry Inman, owner of Inman Gallery in the Midtown Art District, and Frances Bagley, a sculptor and installation artist working out of Dallas, on the dialogue between art and Sandberg’s book. They had two different perspectives. Inman, curator of the Texas Biennial at HCP, and leader of the Texas Contemporary Art Fair, seems to typify Sandberg’s notion of leaning in. In fact, in addition to all of her art world duties, Kerry works concurrently as a geologist in an engineering firm. When I talked to her about her success, she was quick to note that “it came at a price.” Inman agrees with Sandberg that no person can do it all, and that in order to be successful, you cannot be afraid to say “no.” This same comment was also echoed in my talks with Susi Brister, photographer and professor at St. Edwards University in Austin. When I spoke with Inman, she said that much of what makes her successful as a geologist assists her as owner of the gallery. With the increasingly business-oriented atmosphere of the industry, an understanding of both the creative universe of artists and the corporate dynamic is imperative for someone like Inman. Bagley, who lives and works in Dallas, focusing on sculpture and installations, believes that there is a great divide between the corporate and art worlds because in the latter “the artist works for herself and determines what the work should be.” An employee in the corporate environment, by contrast, is working on a goal determined by someone else. In short, for the artist, the work is an internal manifestation and so are the rules for creation and success. In Bagley’s, view generalized management principles, like Sandberg’s, are not so easily translatable for an artist whose definition of success is so deeply personal and unique. It now seems difficult to imagine a world where art is not parsed by gender in some way. When asked if there is a difference between artists and woman artists, Susi Brister, photographer and professor at St. Edwards University in Austin, said yes, but “you could similarly categorize artists from a certain generation, artists from a certain geographic area, or artists using a similar medium.” In fact, it appears that perhaps the distinction between artists and women artists might also simply be a way to categorize artists and images into digestible chunks, granting some order to the images that surround us and grow exponentially each day. For better or worse, artists and women artists continue to be a blurred distinction that deserves greater attention. For Sandberg, the gender distinction becomes more problematic not when women take maternity leave but in how women communicate, handle unexpected situations, and deal with change on an everyday basis. Though social conditioning may have reinforced certain feminine traits that have, to date, kept women from being as successful as men in the workplace, women artists have an advantage. A woman who decides to pursue art has already decided to lean in by taking a leap of faith in her work and her own potential. Much of Sandberg’s book is a practical guide to changing behavior and thinking habits and I asked Susi Brister and Keliy Anderson-Staley to weigh in on some of her biggest questions. Lean In’s basic assumption is that there are fundamental differences between being a man and woman in the workplace. Is there a difference between being an artist and a female artist? Keily Anderson-Staley (KAS): I think pursuing a career in art is always a challenge. Success is rare and tastes and the market can turn against you quickly. Everyone, male or female, also needs to juggle professional and personal responsibilities. That having been said, I think domestic responsibilities often fall more heavily on women. There is also this expectation that women will or should make art about being a woman, about their experiences as women. Many great artists, of course, have addressed women’s social positions and themes like power, sexuality and reproduction. This work is important still, but I think it is also important for women to resist the tendency to be put in a category like “woman artist.” It is much easier for men to embrace the title “artist” outside of the frame of their gender. More and more women have been able to claim the title, but there is still a long way to go. The increasing visibility of female artists has coincided with an increase of women in important roles in the art world. For whatever reason–and this may merely be coincidental–almost all the gallerists and curators who have shown my work or represented me, have been women. I don’t think they promoted my work because I am a woman, but the artists they represent have tended to be more evenly divided along gender lines. Susi Brister (SB): I don’t believe so. All artists engage in presenting ideas in their own way; some artists engage in methods or produce work that appears more feminine than others, but it’s simply one sub-set of artists. You could similarly categorize artists from a certain generation, artists from a certain geographic area, or artists using a similar medium. Sandberg claims that many professional women make pivotal career choices based on their future – when and where they would like to get married and have a family – rather than the situation they are in when an opportunity arises. Working on those assumptions, Sandberg believes that many women miss out on promotions and relocations, for example, that could significantly shape their career. Has that happened to you? SB: Not at all. In fact, I tend to make career decisions that have great potential to jeopardize relationships. KAS: Like many professional women of my generation, I waited until my career was more established to have children. I never consciously thought, “career first, then children,” but focusing on your career keeps you pretty busy and years can go by without thinking that it is “time” to start a family. My husband was also pursuing a PhD, and neither of us felt like it was the right time for children. I don’t regret having waited. We have a wonderful son now, but my career might not be on such sound footing if he had been born years earlier. A career (like a child) takes a ton of constant care in its early development, and I’m not sure, to be honest, that you can give both the full attention they need at the same time. Practically, I think it makes sense to pursue the career while you have the youth, energy and momentum, and then hope you still have those things once you start the family. Lean In repeatedly discusses the importance of having a supportive partner if a woman wants to have a successful career. What is the ideal type of support you need from a partner? KAS: Fortunately, I have a very supportive partner. The most important support is his faith in my career and his commitment to seeing it develop. He’s never doubted that I would be successful, even when we were both poor graduate students in New York City. At different times, one of us has been the one earning more, and we’ve both agreed to be flexible and to go together toward the best opportunities. Although his degree is in English, he is a big art fan, and he is a great person to see art with and to bounce ideas off of. I think the emotional and intellectual forms of support are the most crucial, but he also helps with a lot of the day-to-day operations of my career–from framing art to shipping packages to record-keeping. SB: First of all, I think that depends on your definition of successful. For success in terms of creative fulfillment that gives me the conviction that I am on the right path, I need a partner who understands the work that I do and the place it has in the world. Realistically, that means someone who is compassionate and encouraging as I struggle financially and personally to devote my time and energy to this artistic pursuit. Since household duties normally fall to women, Sandberg discusses the importance of an equitable division of labor. How do you prioritize your art versus domestic duties? KAS: Chores and errand running always come third, behind my son and my work. I can tolerate a bit of a mess and don’t mind letting some things go. My husband and I share all of the housework, and he is an amazing cook. I think we both see career and art-making as much more important and worthy pursuits than, say, unloading the dishwasher. SB: Art-making and art-related work (such as teaching) always come before domestic duties. The only exception is the care for my canine companion, who is top priority above all else. He gets the best cuts of my days and whatever is left over goes toward art making. Luckily, I live alone so the utter lack of attention to domestic duties doesn’t have to bother anyone. Sanberg presents a controversial perspective on mentoring. Do you mentor young female artists? If so, what is your approach? SB: I mentor young artists, period. It’s not about being male or female but about giving knowledge and guidance to those who seek it and are receptive. I love teaching and my role as a more experienced image-maker working to mentor the next generation of artists. KAS: I teach photography, so I am automatically in the role of mentor. More women than men seem to go into the arts, so many of my students are young women. I think the most important thing to teach them is confidence–to help them find a consistent voice as a photographer/artist and then to show them how that confidence can translate into success. I think it is also really important to expose them to the work of women artists. In my lectures I try to show a balance of perspectives from photographers of all types – not just thinking about gender but also showing the work of artists that are in historically underrepresented groups. Keliy Anderson-Staley’s images are in the permanent collections of the Library of Congress, Cedar Rapids Museum of Art, Portland Museum of Art (Maine), and the Museum of Fine Arts – Houston. 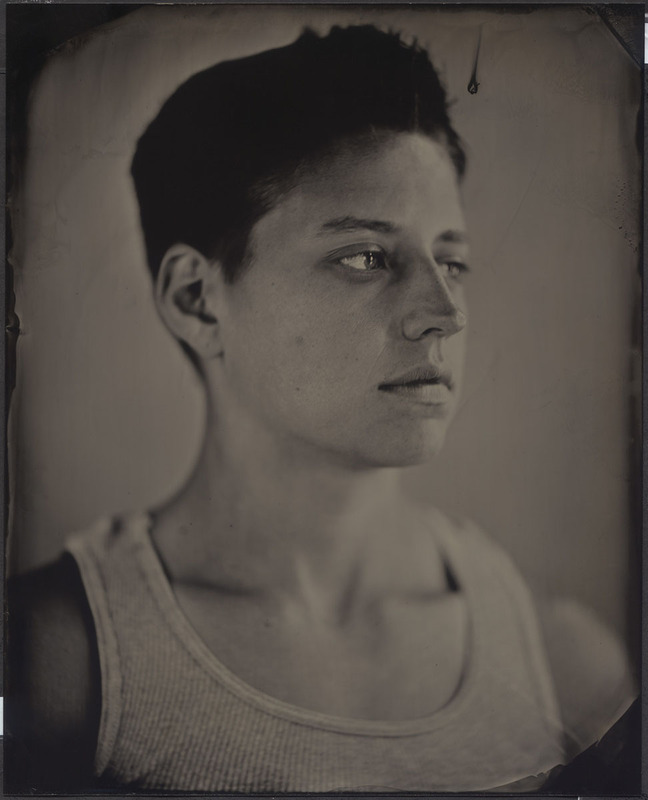 On a Wet Bough, a collection of her tintype portraits, is forthcoming from Waltz Books. She is an assistant professor of photography and digital media at the University of Houston. She is represented by Catherine Edelman Gallery in Chicago and her work is being shown at Art Miami (part of Miami Beach Art Week) in 2013. Susi Brister graduated from the University of Texas at Austin in 2001, where she received dual Bachelor of Arts degrees in studio art and cultural anthropology. In 2008, Brister completed a Master of Fine Arts degree in studio art photography at Concordia University in Montreal, Quebec, Canada. Her work has been exhibited both nationally and internationally, including solo shows at Parisian Laundry in Montreal and Lawndale Art Center in Houston. Brister currently lives in Austin, Texas, where she teaches photography at St. Edward’s University. 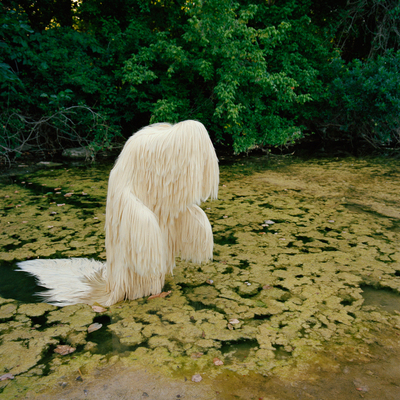 Her work was included in Moving/Still: Recent Photographic Work by Texas Artists, curated by Kerry Inman and co-presented by Fotofest and The Houston Center for Photography. Frances Bagley works in Dallas and focuses on sculpture and installation. She received her MFA from the University of North Texas and has been showing her works in both solo and group settings for over 30 years. Her awards include the 10th Kajima Sculpture Exhibition in Tokyo (Encouragement Prize) and this year her works were included in the Texas Biennial. Kerry Inman is the owner and director of Houston based Inman Gallery. She was the curator of Moving/Still: Recent Photography by Texas Artists (2013). She is also the on-going advisor of Texas Contemporary Art Fair and on the dealer committee for the Miami Project, part of Miami Beach Art Week. Hi Jamie – Sorry I am just now getting back to you. How can I help?